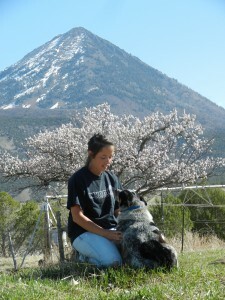 Before starting at Cottonwood Ranch and Kennel, I thought my dog Zorro was a pretty well behaved dog. My first day at work, Ted Hoff, owner and trainer was demonstrating his basic obedience training tactics on an older dog. He used simple commands; sit, stay, heal, come, lie down. Ted was consistent and thorough, never missed an escape. Just in a twenty minute session, I witnessed the change in the dog. Because Ted used all positive reinforcement, never yelled or raised a hand in his training, the dog didn’t even know he was being made to do things he’d never done before. It enjoyed the verbal reward of “good dog” and the soft calming hand reaching into praise. No longer did the dog control the situation, but it’s eyes never left the trainer as it sat ready, wanting to please. Over the next few weeks, I learned a great deal at Cottonwood Ranch and Kennel. I began to realize as I saw dogs come in and leave as a totally different dogs that maybe it wasn’t too late for my own dog to learn a few things. Zorro is just over two years old, and never been to a dog trainer. He was more than my pet, he acted as more my kid or best friend. So one morning I brought him into work as requested by Ted. While we talked about his habits, Zorro did well in displaying them as he tried to steal my attention from Ted. Zorro sat on my foot, wiggled and squirmed. He whined and he whistled and rolled around on the ground. He nudged at and nipped and licked at my hand. He pawed at my feet and jumped up on my legs. And finally, when he was just sure I didn’t love him at all, he sat on my foot and let out an exasperated sigh. I had a whole list of things to improve but overwhelming him with commands would do me no good. One day at a time, with Ted’s coaching me through and stepping in when Zorro was working me over, and sure enough my little spoiled dog became a more enjoyable pet. He isn’t any less cute or less loveable now that he sits straight without wiggling and doesn’t insist upon jumping all over me when saying hello. We’ve established grounds so he knows when he can be silly and when it’s not acceptable behavior. Now, I am like a proud parent wanting to show everyone my improved dog! 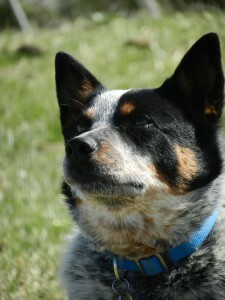 Dog trainer and owner of Cottonwood Ranch and Kennel, Ted Hoff changed my relationship with my dog. This isn’t a rare occurrence by any means, he turns out better dogs to happy clients on a daily basis. I am so blessed to work for and learn from someone with such a great knowledge of all breeds of dogs and with such great dog training abilities. While he may have a favorite, I’d never know. As I watch each day, he puts the same effort and care into each dog, changing certain training tactics for specific dogs needs to insure a final product of a more obedient, enjoyable dog.